Unlike large retailers, our plants and trees are not grown in a greenhouse or another area and shipped here. They are not overly pumped with fertilizer and other products, which look great on the shelf but can't tolerate our climate and normal abuse. *This is a general representation of our inventory. Some trees and plants may have been sold or changed in appearance/price since the pictures were taken. Quality Plants and Trees - Buy direct from the grower and save! Planting the wrong tree in the wrong place can be very costly. Not just the cost of the tree--but future pruning, removal, root problems and many other issues. 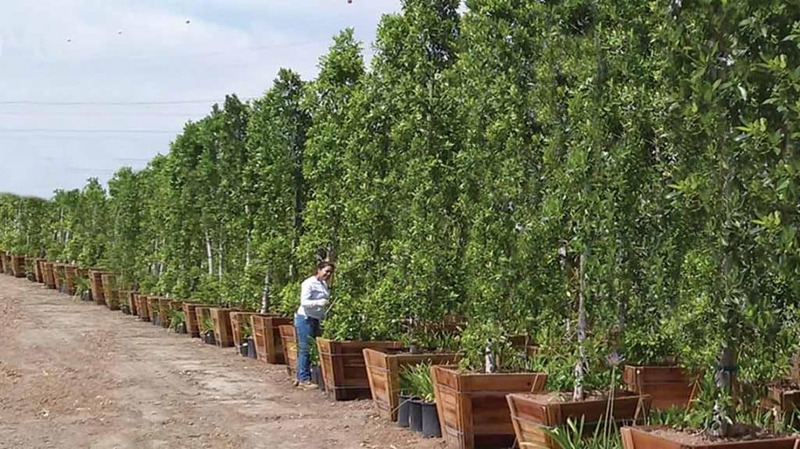 GARDEN VIEW NURSERY has thousands of trees and hundreds of varieties to choose from. The nursery has very descriptive signage throughout the entire nursery with pictures of their flowers and our own durability ratings derived from our 34 years of landscaping experience. Our knowledgeable sales staff will help you pick the right tree for your situation. Our experienced crew can deliver and professionally install your tree. We can also install root guards (helps keep roots controlled), deep water conduits (encourages deep roots), and soggy soil root protectors (devices & procedures to reduce problems from poor draining soil). All trees and plants are not equal; even in our own nursery. At one nursery you may have a larger plant or tree with more robust flowers but the plant can be pumped so that it looks good on the shelf or at the nursery. Though this plant may be able to be sold at a lower cost (because it took less time to grow) or you think it has more flowers, it may not be as good of a deal as a slightly smaller plant that is acclimated to your climate. Our plants are not overly pumped, have a more mature root system, a larger caliber, are pruned correctly, are hardened off, and are simply more durable. You can be assured Garden View has very low prices, wide selection, and our staff will help you pick the best plant for your needs out of our extensive inventory. Most of the plants we use on a regular basis need a lot less water than we give them. Many, if not most of our favorite, most durable, and blooming plants are very water wise. The plants at Garden View Nursery are labeled for their water needs. See our Water-Wise section! With water becoming more scarce and expensive we need to think about how we use this valuable resource. The plants we use, how we use them, how we irrigate them and train them (see deep watering in gardening tips) are all very important in saving water. These are plants or trees that will look good with a minimum amount of water. They may tolerate a wide range of conditions but still survive on minimum amounts water. They may not survive long term total lack of water. These plants and trees will survive a drought. 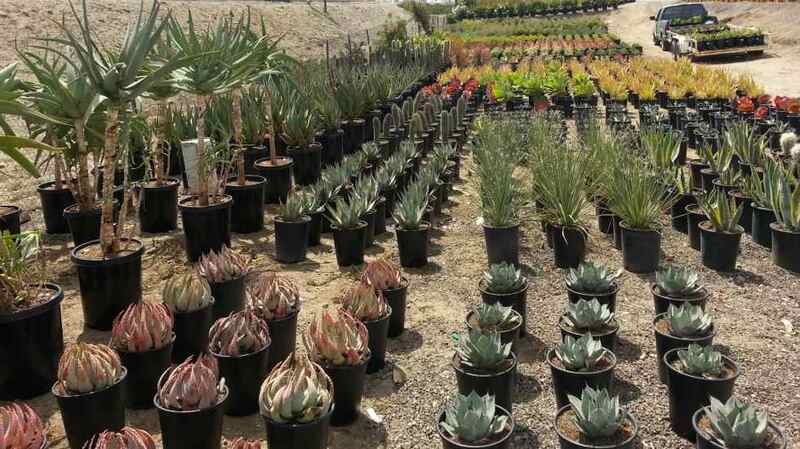 The term is applied and often used by the mainstream to mean water-wise, though in actuality a drought tolerant plant should survive total loss of water. Sometimes Drought Tolerant plants or trees may not look good with minimum water, and may even defoliate or go deciduous, but they will generally survive and come back when water has returned. Though it is highly unlikely we will have a total drought on our planted yards, it is not unlikely that we will have water shortages and increased cost. We believe planting water-wise plants grouped together and using quality zoned irrigation systems is the key to having beautiful gardens that use minimum amounts of water.